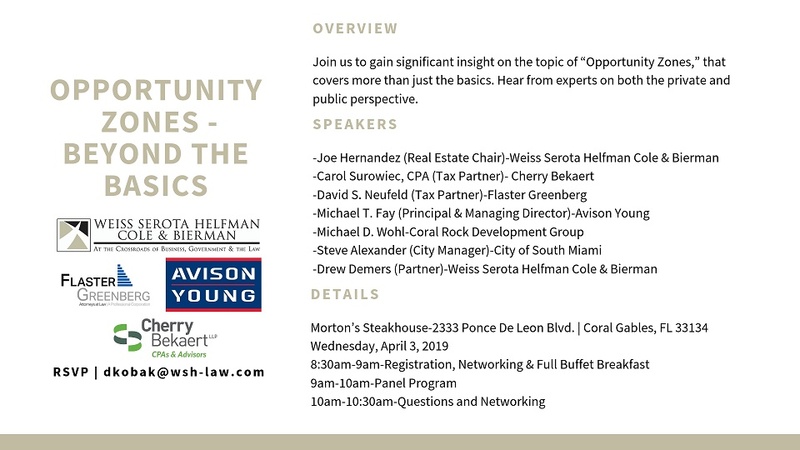 Join FG shareholder David Neufeld and other industry experts in both the public and private sector to gain significant insight on the topic of Opportunity Zones. 2333 Ponce De Leon Blvd. To RSVP, please e-mail Daniel Kobak at dkobak@wsh-law.com.